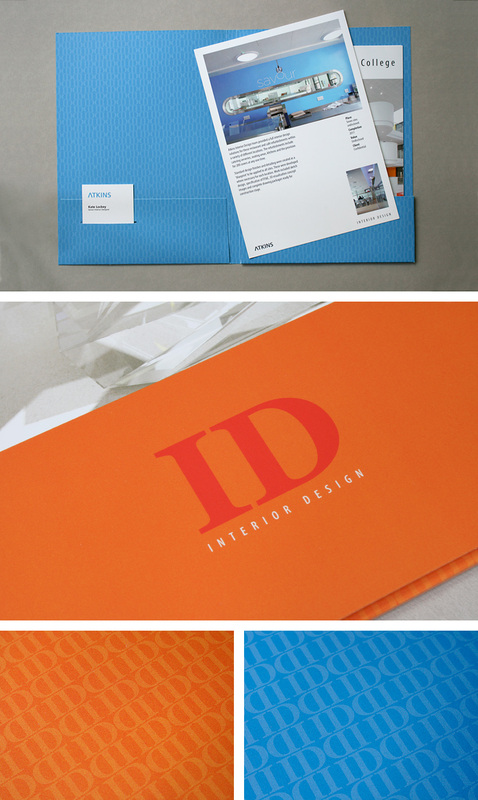 Brochures for the Interior Design department of Atkins. different sectors – commercial and public. work are inserted into the inside pocket.